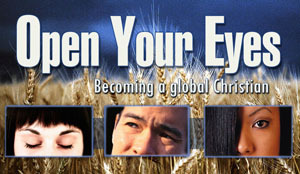 Are you a global Christian? Or is your focus only on what goes on immediately around you? Some of us may be ignoring the mission that Jesus gave us – to go into and care about the whole world. In this new series, we will be looking together at how God may be wanting to open our eyes to His vision for the world. Pastor Mike will be giving the rationale for being a global Christian, and over the next several weeks our goal is to grow together in our awareness of the important and ripe harvest fields of the world. Every week, Pastor Mike has prepared an assignment card that will give us all readings and activities to do every day. You can download the assignments below.